This CV's originality is all in the layout. 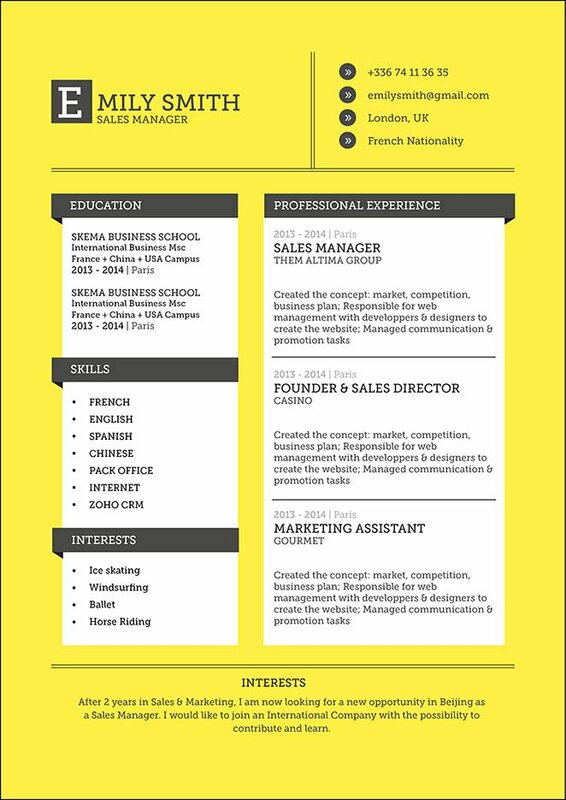 CV template to download "Persuasive"
The Persuasive Resume has a comprehensive and effective design thanks to its original layout and format! This simple resume template is sure to attract your potential employer with its excellent use of colors, shapes, and texts that give your resume an eye-catching look. Job seekers that have solid qualifications such as yourself will find this resume a great fit as it has a clear and concise layout which perfectly presents all pertinent information. It's applicable for any job type out there—and will surely get you that dream job! 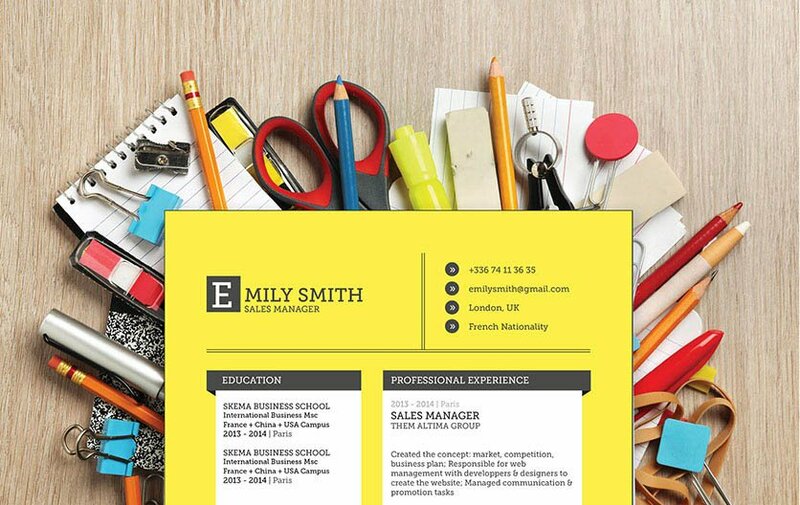 How to format a resume that will attract the attention of your potential employer?—That's simple, its by having a clear and comprehensive resume layout. One major factor of writing an effective resume format is how well its lay-out and overall structure is made. In-coming resumes are typically scanned for about 10-30 seconds, so it's important write your resume in a well organized and understandable manner. Use simple, yet professional looking fonts such as Seriff, Calibri, or Helvetica. Font size should only be between 11-12, as to make your resume look less cluttered and more organized. Use bullets and graphics to give emphasis on pertinent parts of your resume, headings and subheadings can also help highlight the key parts in your cover letter.